a perfect card for the occasion. thanks for sharing. ha! 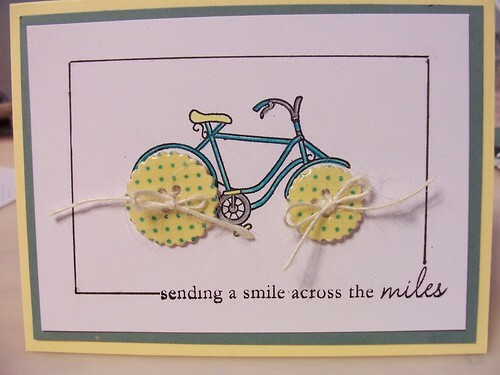 what an adorable bicycle, sara. Sara this is a very sweet card! 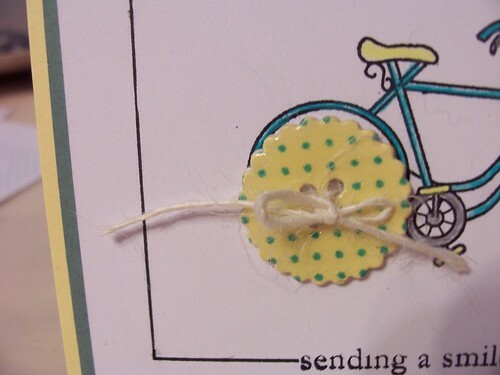 Talk about a perfect bike thank you card and you got to play in the blog hop! Love the wheels. Aren't you clever! This is so cute Sara! 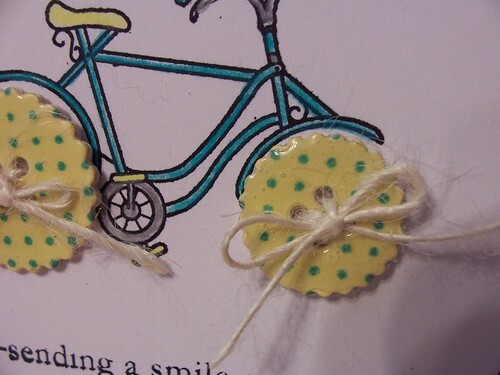 Love the handmade buttons with the glossy surface.